Are you unhappy with the appearance of your crooked teeth? There are many cosmetic solutions for fixing crooked and misaligned teeth. The most common treatment for crooked teeth is Invisalign, traditional braces, or porcelain veneers. Veneers not only fix crooked and misaligned. They can also fix chipped and misshapen teeth. Choosing which treatment to use for straighter, more perfect teeth will depend on the current state of your oral health, and how conservative of an approach you would like to take in enhancing your smile. 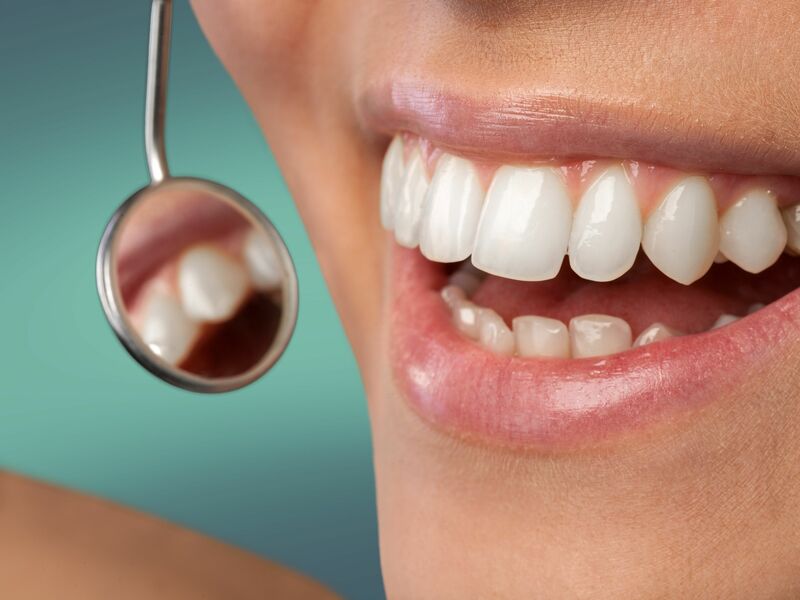 At Gables Perfect Smile in Coral Gables, FL, our experienced cosmetic dentists will assess your smile, and help you weigh out the best options to improve your smile’s cosmetic defects. If you’re dealing with slightly crooked teeth, but you’re happy with the shape and size of your teeth, then Invisalign is the most conservative approach for a more perfect smile. Invisalign uses a discrete and removable invisible aligner to close gaps and straighten out your smile. Unlike traditional braces, you can also get a whiter smile during your treatment with professional teeth whitening. However, if you’re looking for instant results, you might want to consider porcelain veneers. Invisalign does not offer instant gratification, and it will require some effort on your part. Invisalign can take up to 2 years to fully straighten your smile, and you will need to continue wearing your retainer after your treatment. During your treatment, you will also need to make sure you are continuously wearing your aligners for 22 hours a day. The more frequently you wear your aligners, the quicker your teeth will shift into formation. However, wearing your aligners will require discipline. Therefore, if you think you can’t handle the responsibility to wear your aligners to completion, you might be better off choosing porcelain veneers. Porcelain veneers are the most instantly gratifying way to close the gaps on straight or crooked teeth, while also whitening your teeth and making them appear larger or smaller. Porcelain veneers take as little as two visits and two weeks to get a more beautiful smile, while improving your teeth’s positions. With porcelain veneers, you can choose any shade, making them look as white or natural-looking as you please. Not to mention, you won’t have to deal with the inconveniences of remembering to wear your aligners during your treatment and your retainer after your treatment. While porcelain veneers can provide an instant smile makeover, it is a much less conservative approach than Invisalign. Before placing porcelain veneers over your teeth, your teeth will need to be shaved down, reducing the size of your natural teeth. This permanent, and more invasive way for getting straighter and whiter teeth might deter patients that don’t want their natural teeth to undergo alterations. When performed correctly porcelain veneers can last for years. However, they will also need to be looked after regularly to avoid cavities and ensure that they remain in good shape. Porcelain veneers also have limited capability for correcting bite abnormalities. For patients with misaligned molars or severe underbites and overbites, Invisalign or traditional orthodontics will be a better route to straight teeth. Want to learn more about your treatment options for whiter and straighter teeth? Call Gables Perfect Smile today to schedule a consultation at 305-901-0700.